There is no consensus over a unified definition for energy security. The following is energy security as defined by the world economic forum:“Energy security is an umbrella term that covers many concerns linking energy, economic growth and political power (see Box 3). 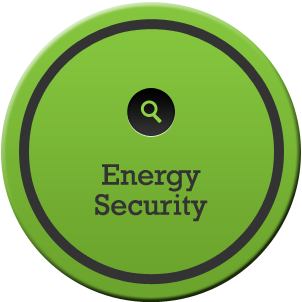 The energy security perspective varies depending upon one’s position in the value chain. Consumers and energy-intensive industries desire reasonably-priced energy on demand and worry about disruptions. Major oil producing countries consider security of revenue and of demand integral parts of any energy security discussion. Oil and gas companies consider access to new reserves, ability to develop new infrastructure, and stable investment regimes to be critical to ensuring energy security. Developing countries are concerned about the ability to pay for resources to drive their economies and fear balance of payment shocks.Power companies are concerned with the integrity of the entire network. Policymakers focus on the risks of supply disruption and the security of infrastructure due to terrorism, war or natural disaster” (WEF, 2006). Water security involves the sustainable use and protection of water systems, the protection against water related hazards (floods and droughts), the sustainable development of water resources and the safeguarding of (access to) water functions and services for humans and the environment. The water footprint is an indicator of freshwater use that looks at both direct and indirect water use of a consumer or producer. The water footprint of an individual, community or business is defined as the total volume of freshwater that is used to produce the goods and services consumed by the individual or community or produced by the business. Water use is measured in terms of water volumes consumed (evaporated) and/or polluted per unit of time. A water footprint can be calculated for a particular product, for any well-defined group of consumers (e.g. an individual, family, village, city, province, state or nation) or producers (e.g. a public organization, private enterprise or economic sector). The water footprint is a geographically explicit indicator, not only showing volumes of water use and pollution, but also the locations” (Water Footprint Network, 2011). Volume of rainwater consumed during the production process. This is particularly relevant for agricultural and forestry products (products based on crops or wood), where it refers to the total rainwater evapotranspiration (from fields and plantations) plus the water incorporated into the harvested crop or wood” (Water Footprint Network, 2011). Volume of surface and groundwater consumed as a result of the production of a good or service. Consumption refers to the volume of freshwater used and then evaporated or incorporated into a product. It also includes water abstracted from surface or groundwater in a catchment and returned to another catchment or the sea. It is the amount of water abstracted from ground- or surface water that does not return to the catchment from which it was withdrawn” (Water Footprint Network, 2011). Carbon footprint is the amount of carbon dioxide or other carbon compounds emitted into the atmosphere by the activities of an individual, company, country, etc. 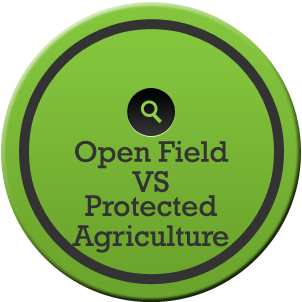 In this tool, the user will be given the option of creating a scenario which grows agricultural food product under open field or protected agriculture. Growing food products in green houses is meant by protected agriculture. Resource requirements for a scenario (water, land, energy, finances, carbon). Importance factors for each of systems defined by stakeholders.